In 2007 we see the first major changes in the concept of the Premier League. The number of participants goes from seven to eight, and this means that play expands from ten to fourteen weeks. The new locations are also increasing in size. This year for instance they play at the Alexandra Palace in London, the venue where the World Championships are being played from 2008. Naturally, Raymond van Barneveld, Phil Taylor, Colin Lloyd, Roland Scholten and Peter Manley bare ack in the Premier League. Terry Jenkins also qualifies for the Premier League after a thrilling battle and Adrian Lewis and Dennis Priestley make their debut. For the first time Wayne Mardle misses out and Ronnie Baxter will also not return. 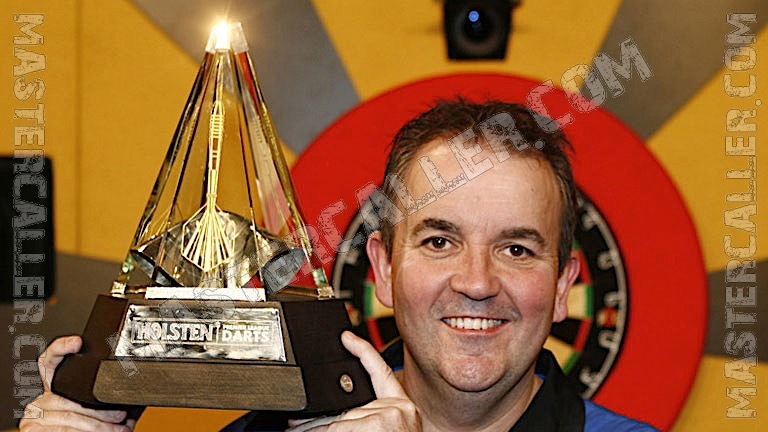 At the end of the competition it makes little difference, because Phil Taylor does not lose a game again and for the third time he has his picture taken with the cup. This time it's against Terry Jenkins in the final, who inflicted Raymond van Barneveld his second consecutive defeat in a semi-final. Dennis Priestley is the fourth semi-finalist after a good season; he is no match for Taylor in the semis. Roland Scholten plays his last Premier League, he has to settle for last place.